Eight months is a long time. Long enough for international outrage to rise, fall and fade away. That's how long it's been since Boko Haram militants stormed a secondary school in the northeastern village of Chibok in Borneo State, abducting more than 200 still-missing teenage girls. A global Twitter campaign - #BringBackOurGirls - caught fire with the help of US First Lady Michelle Obama, former US Secretary of State Hilary Clinton, UK Prime Minister David Cameron and, most importantly, millions of global hashtag activists. They focused the world's attention on the girls, leading to support from the US, UK, France, Canada, China, Iran and Israel, reportedly in the form military intelligence and special forces. But in these eight months we also felt tremors of a US-Russian cold war redux as Russia annexed Crimea. We saw the rise of ISIS via grisly Youtube beheading videos. And we witnessed the threat of Ebola strike fear across much of the globe. All of this turned the attention of world leaders and Western media away from the 219 abducted Nigerian girls. Meanwhile, the international efforts to recover the girls failed. So did several rounds of negotiations to exchange the girls for the release of captured Boko Haram fighters held in Nigerian jails. Boko Haram then upped the ante in pursuit of its goal: to establish a fundamentalist Islamic state in northeast Nigeria and eliminate Western influence in its schools. The militants, declared a terrorist group by the US in 2013, continue to attack Nigerian villages - killing men and abducting women and children, burning down homes. In just the past few days there are reports that thousands more may have been killed. Sadly, this aggression won't end soon; the killers have momentum. I say this as an experienced observer. In 1985, at age 16, I was abducted into war by rebels from remnants of the Ugandan National Liberation Army. I eventually escaped and reclaimed my life. Years later, my younger brother Godfrey was not so lucky. He was kidnapped under similar circumstances, this time by Joseph Kony's Lord's Resistance Army, and was killed in battle. Yes, I lost my brother. But I never lose hope. I do, however, fear hope for the Nigerian girls is slipping away, internationally. Media tickers marking the days since their abduction have disappeared from front pages, web pages and broadcast reports. Sometimes I wonder: Does anyone still remember the 219 missing girls? They do in Abuja. Every day the Bring Back Our Girls demonstrators - which fueled the hashtag campaign - rally at Unity Fountain in Abuja, Nigeria's capital. Families of the missing girls, neighbors, and fellow countrymen congregate and chant the now-familiar mantra: "Bring back our girls." They are an inspiration. Since starting on April 25, the gatherings, about 100 strong these days, are comprised of indefatigable, undeterred individuals. They've withstood government repression, backing down Abuja police who ordered them stop the rallies. In the media, they've dismissed conspiracy theorists who, bizarrely, postulated the girls were never abducted. They even outlasted political operatives of President Goodluck Jonathan. Up for re-election, he's the man demonstrators demand action from. This summer, pro-Jonathan "counter-activists" arrived at the Unity Fountain flanked by mobile marketing vehicles with billboards. After a few days of tension and bullying, the only group left was the one with un-purchasable passion: Bring Back Our Girls. Bypassing the Jonathan government altogether, just last week Bring Back Our Girls met with UNICEF and UN leaders in Nigeria. They made a direct appeal for international action - or at least the application of outside pressure. Time will tell if this produces either. Now, the highest hurdle Bring Back Our Girls faces is cynicism. 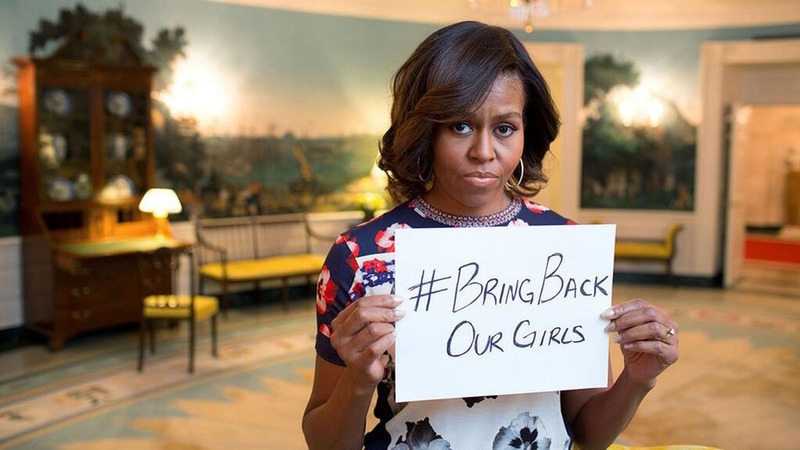 It's easy to naysay advocacy efforts like #BringBackOurGirls as "slacktivism." After four million Tweets, the 219 girls have not been rescued. So what's the point, right? Wrong. Until a social-media savvy Nigerian lawyer, Ibrahim Abdullahi, came up with #BringBackOurGirls, there was a practical media blackout of the abductions. Abdullahi was the first registered user of the hashtag, nine days after the mass kidnapping. In those long days, Abdullahi tried other hashtags - #ChibokGirls, #BornoGirls, #AbductedBornoGirls. Nothing took off. But like the demonstrators, he persisted. While listening to a speech about the abductions by former World Bank Vice President Oby Ezekwesill, he heard her say: "Bring back our girls." He echoed the phrase on Twitter, the demonstrators amplified it at Unity Fountain and online. Finally their cry was heard - first across Africa, then the World. Had it not been for this social media campaign I wonder if anyone outside of Africa would know about the Chibok girls? Would the story have lasted more than one news cycle in the West? Would you be reading this now? 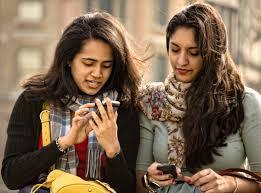 No, social media won't return the girls. But it got my attention and probably yours. It's been said by the demonstrators what is needed is a renewed campaign to once again gain mindshare of a distracted world. Mine is one voice of millions demanding the girls' rescue. But I stand in solidarity with those at Unity Fountain and declare this My 2015 Resolution: I will #RememberOurGirls. By the way, it's been 274 days since they were abducted.